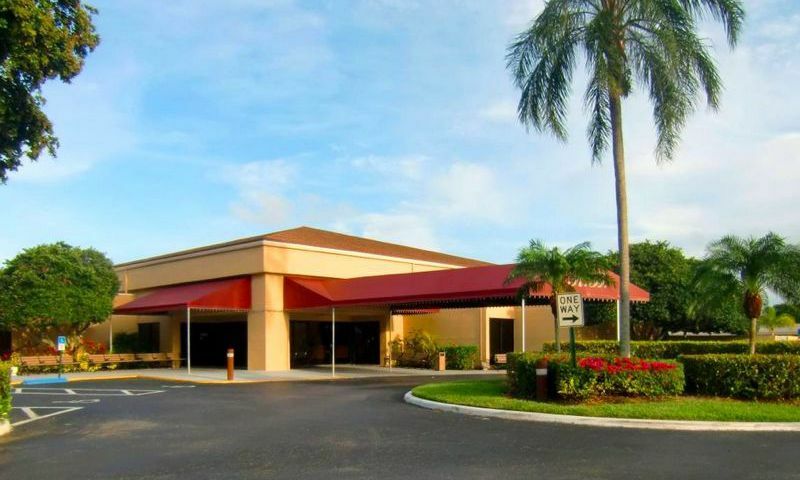 Rainberry Bay is a 55+ community located in beautiful Delray Beach, Florida. Active adults enjoy living in this well-established neighborhood that consists of 901 residences available on a resale-only basis. This gated enclave provides homeowners with a great line up of resort-style amenities that are sure to keep them active all year long. Residents can enjoy a clubhouse with plenty of indoor features like a theater and stage as well as outdoor pools, tennis courts, and bocce ball courts and basketball courts. Ideally situated in Palm Beach County, Rainberry Bay homeowners have easy access to everyday conveniences. They are a few minutes away from downtown Atlantic Avenue, which has many popular shops and restaurants. Delray Beach offers desirable warm weather all year long that allows residents to enjoy the nearby beaches, oceanfront parks, and golf courses. Rainberry Bay's clubhouse is the central hub of social engagement and offers a wide selection of amenities that help residents stay active and healthy. The clubhouse features a fitness center complete with cardiovascular and strength-training equipment. After an invigorating workout, residents can relax in the sauna and freshen up in the locker rooms. An arts and crafts studio is available for homeowners to express their creative side. Residents can challenge their neighbors in a game of table tennis, pool or bridge at the billiards or card rooms. For special events or club meetings, the conference room and multi-purpose room can be utilized. The theater and stage are a great place to watch concerts, plays, shows and other entertainment in Rainberry Bay. Residents have numerous outdoor amenities as well. The main outdoor pool and spa are perfect for relaxing under the warm Florida sunshine. Rainberry Bay also has five satellite pools throughout the community, which gives residents quick access for a refreshing dip. Homeowners can hone their skills at one of the 12 tennis courts or have some fun at the bocce ball courts. Residents can take strolls along the walking and biking trails that surround the community as well as enjoy scenic views of the stocked fishing lake while enjoying some fresh air. Rainberry Bay was constructed between 1977 and 1989 with 901 attached and single-family homes available on a resale-only basis. Homeowners will enjoy the tree-lined streets and lush landscaping that surround Rainberry Bay, which has manned gated security that offers a safe environment and peace of mind to homeowners. An affordable homeowners' association fee covers the cost of exterior-home maintenance, lawn mowing, and common area upkeep. Attached homes within Rainberry Bay range in size from approximately 1,180 to 1,933 square feet. They typically have two bedrooms, two or two-and-a-half bathrooms, and assigned parking lot spaces. Some homes feature tile or laminate flooring, covered patios, dens, eat-in kitchens, and fenced courtyards. Single-family homes offer more space for the active adult homeowner. They offer approximately 1,074 to 2,800 square feet of living space. They generally have two or three bedrooms, two or three bathrooms, and attached one or two-car garages. Single-family homes may feature large private backyards, screened patios, cathedral ceilings, spacious living rooms and kitchens, and tile flooring. There's never a dull moment when living in Rainberry Bay. Residents have plenty of activities and clubs to keep them entertained and socially involved with neighbors in the community. Homeowners can join the bicycle club, women's club, or Yiddish heritage club. They can attend movie night, aqua yoga, painting class, or a jewelry and beading workshop. Residents can create beautiful projects with arts and crafts or stay in shape with EEZY fitness classes. Whatever they desire, homeowners won't fall short of things to do in Rainberry Bay. Rainberry Bay is located in Delray Beach, Florida. The community is minutes away from Interstate 95 and downtown Delray Beach. This popular and convenient location provides homeowners with easy access to shops, restaurants, and entertainment just a short drive away. Residents have shopping options at the Shops of San Marco, Gulf Atlantic Plaza, and Boynton Beach Mall. There are plenty of golf courses nearby as well, such as Hunters Run Golf & Racquet Club, Delray Dunes Golf & Country Club, and Quail Ridge Country Club. Residents can drive north to Palm Beach in about 25 minutes or drive south to Fort Lauderdale in 49 minutes. They can board a flight at Palm Beach International Airport or Fort Lauderdale-Hollywood International Airport when traveling farther is required. Rainberry Bay is an established 55+ community with great amenities and homes in a prime location within Palm Beach County, Florida. There are plenty of activities available in Rainberry Bay. Here is a sample of some of the clubs, activities and classes offered here. Attached homes within Rainberry Bay range in size from 1,180 to 1,933 square feet. They have two bedrooms, two or two-and-a-half bathrooms, and assigned parking lot spaces. Some homes feature tile or laminate flooring, covered patios, dens, eat-in kitchens, and fenced courtyards. Please Note: Floor plans are not available at this time. Single-family homes offer more space for the active adult homeowner. They offer 1,074 to 2,800 square feet of living space. They have two or three bedrooms, two or three bathrooms, and attached one or two-car garages. Single-family homes may feature large private backyards, screened patios, cathedral ceilings, spacious living rooms and kitchens, and tile flooring. Please Note: Floor plans are not available at this time. We love it here. We finally bought a "villa" here after a five year search for a 55)+ community that had everything we wanted. The community is gated, and allows pets, two musts for us. The grounds are just beautiful, with lush foliage and trees, giving me the Florida feel we were seeking. The pools are spotless, and every single person we have met has been friendly and happy to live here. Even though the community was built in the 1980's, the homes are kept up very well, and are bright and light and airy. We are very happy we moved here. 55places.com is not affiliated with the developer(s) or homeowners association of Rainberry Bay. The information you submit is distributed to a 55places.com Partner Agent, who is a licensed real estate agent. The information regarding Rainberry Bay has not been verified or approved by the developer or homeowners association. Please verify all information prior to purchasing. 55places.com is not responsible for any errors regarding the information displayed on this website.